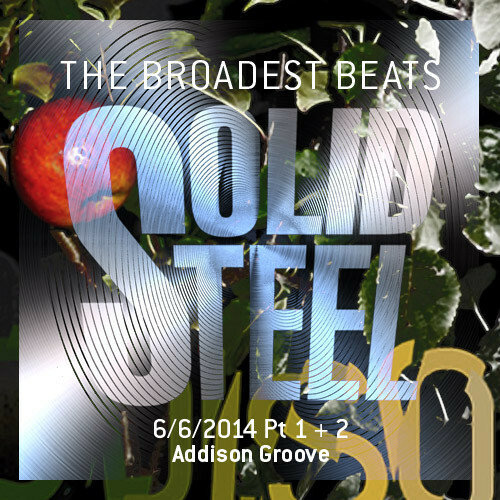 “Solid Steel (6th June) Addison Groove is our guest in Hour 1 with the most diverse mix he’s ever done and perfect for a sunny weekend. We kick off with a dubwise selection from Lee Perry, Augustus Pablo, King Tubby and Linval Thompson, then two from Angola, Dr Buzzard’s Original Savannah Band, Gil Scott Heron and Antibalas. Then it’s onto hip hop from LL Cool J, J Dilla and the classic Dilla produced ‘Drop’ by The Pharcyde. Finally we switch up to a Footwork selection including music from his friend Rashad RIP, The Dutty Inspectors and an EXCLUSIVE premiere for ‘Love Will Save’ by Addison Groove from his forthcoming ‘Turn up the Silence’ EP on Modeselektor’s label 50 Weapons.